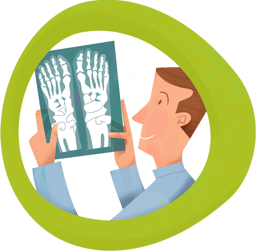 Treat your foot problems without orthotics, surgery or drugs. We can address the underlying cause of your foot pain and bunions. Foot mobilisation podiatry is a gentle medical therapy that painlessly coaxes your feet and body back to perfect health. Forget heel pain, uncomfortable bunions, hammertoes, painful joints and sore knees. Your expert podiatrist encourages the joints of your feet and legs to move through their natural range of motion, correcting their position with the movement. You’ll enjoy long term physiological improvements to your body through our gentle, short-term podiatry treatments. 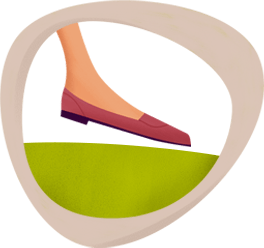 Unlike orthotics, which only work when you wear them, foot mobilisation podiatry actually changes the structure of your feet, so your condition continues to improve over time. Often we can correct your issue without prescribing orthotics. Wear the footwear of your choice—from Blahniks to Birkenstocks. Sometimes an outfit calls for flirty pumps, strappy sandals or seductive heels that simply can’t be worn with orthotics. Now, thanks to foot mobilisation podiatry, you can be fashionable without compromising your health—whatever your choice of fashionable footwear. We are confident that you will be more than satisfied with your treatment. In fact, we promise a full refund and we will cover the cost of your next session if you are unhappy with our service.